Against The Grain truly lives up to their name by supplying families with dog food that is truly unique. We didn’t believe it when we read that they offer a line of food that contains one ingredient only, but this canned dog food does contain one single ingredient. They offer two different lines of dog food one being their “nothing else” line and the other being a standard grain-free moist food dinner. Both foods contain limited ingredients with whole pet nutrition as the main priority. Against The Grain claims that they do all of their own manufacturing in their facilities so they can oversee the entire process from beginning to end. They use natural skylights in their facilities and also pay close attention to their carbon blueprint. All their foods are at least 85% real meat as well as the freshest fruits and vegetables. We’re excited to bring this pet food to your screen and give you the entire breakdown so you can decide if this is something you want to incorporate into your pup’s diet. 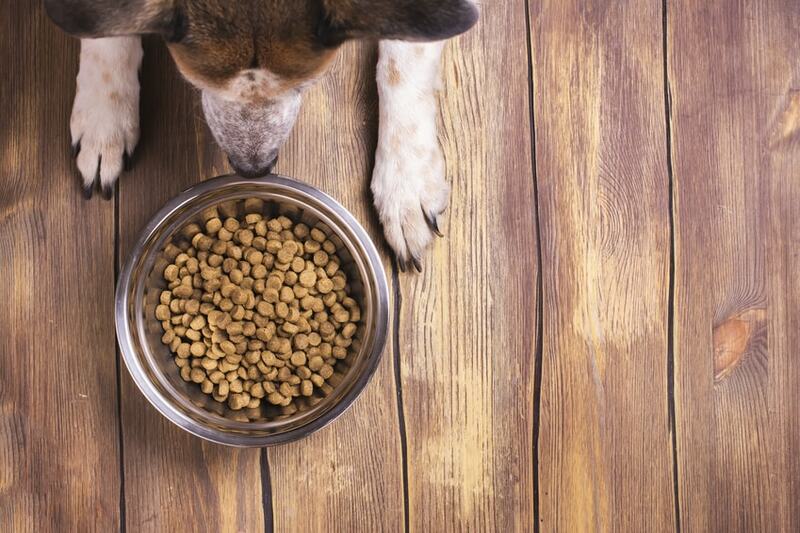 In this article, we’re taking an in-depth look into this food to help you make the right decision for your canine companion. The reason Against The Grain got its start is because the original owners realized that many of the traditional pet foods on the market use an inferior manufacturing process and cheap ingredients to minimize costs. They wanted to create a dog food where pet nutrition is the number one priority regardless of the complicated process or cost. At Against The Grain, they do precisely what their name suggests. They create food that goes against typical protocol but entirely according to what your dog needs. That said, all the foods that come from this company contain zero preservatives or artificial ingredients of any kind. What Types of Dog Food Does Against The Grain Offer? Against The Grain keeps things simple by offering only two different types of dog food. They have their standard grain-free shredded meats option which consists of two flavors. The company also provides its “Nothing Else” line of dog food which contains only one ingredient packaged into a can free from preservatives, gluten, or grain. There are currently two recalls of Against The Grain Dog Food from February 2017. Below are the full details of the recalls. February 14, 2017 – Against The Grain Pulled Beef with Gravy Dinner recalled for possible pentobarbital contamination. February 28, 2017 – Against The Grain Pulled Beef with Gravy Dinner recalled for possible pentobarbital contamination. We researched these recalls a little more in-depth to gain an understanding of what this means and how it gets into dog food. Pentobarbital is a drug used in the euthanization process of animals. It is believed that this drug enters the food through euthanized, rendered cattle. If consumed it can be deadly to dogs. In this section, we’re going to break down two of the most popular dog food lines from Against The Grain. We’re taking a look at their online reputation as well as how some of their ingredients and nutrients stack up against other dog food brands. This dog food surprised us when we realized that there is nothing else in the can except salmon. The food also contains a gravy from the juices of the salmon, so it’s not the most appetizing looking (or smelling) food we’ve ever had, but in terms of pure and honest ingredients this food takes the cake. Single-ingredient foods are great for dogs with allergies and are meant to get served alongside a dry kibble or well-rounded wet food. If you’re looking to supplement your pups’ current diet with more protein-rich real ingredients, then you should consider this type of food. We immediately notice the high concentration of protein and fat in this food which is uncommon in canned foods. We imagine that is due to the purity of the ingredient in this canned food so it would work well if added to the top of a more affordable dry kibble. This single-ingredient food has a rating of 4.1 out of 5 on Chewy.com with many reviewers complaining about the smell and lack of pate in the can. The negative reviews are few and far in between with many verified purchasers saying they love the food, their pups enjoy it, and it works well alongside a more balanced diet. This canned food more closely resembles what we expect to see in moist dog foods; an overall balanced diet of proteins, vegetables, and fruits. This food contains only wholesome ingredients with no GMO’s, hormones, or antibiotics. The company recommends serving it as a full meal or a topper for dry kibble. Overall this wet food looks as healthy and wholesome as the one ingredient formula. The ingredients are nutritious and well balanced, but there are some mixed signals regarding the manufacturing process of this food. Some sources say the blend gets made in the USA and some claim the food comes from Thailand. The product has a rating of 4.1 out of 5 stars on Chewy.com with most positive reviews saying the food works great as a supplement to dry food and their dogs enjoy the flavor. Critical reviews once again express concern over the smell and lack of food in each can. We believe that the best way to understand dog food and know if it will work well with your pup is to read reviews from other customers who have already tried it. Many positive reviewers of the product love all the healthy ingredients and say that the food is an excellent supplement to their dog’s diet. Some of the critical reviews express concerns over possible changes in the formula and the fact that the cans contain a lot of space and water. Here are some real reviews from verified purchasers of the dog food brand. One of our dogs won’t touch it. We have never seen a canned dog food that contains only one ingredient, and we are quite impressed by the company. Even their standard line of food includes the types of wholesome and healthy ingredients that you want to find in your dog’s food. We highly recommend going against the grain to supplement your dog’s dry kibble with some of the nutritious moist food.